What is gochar in astrology, impact of gochar transit in life, predictions through gochar, current movements of planets and impacts on life. Gochar means transit of planets, Stars are moving continuously and because of this impacts on life changes, sometimes a person feel happy, sometimes feel sad, sometimes natural disasters disturb the life, sometimes growth is seen every where. Circumstances changes when planets changes positions i.e. when planets sits with good zodiac then shows positive impacts and when planets become malefic then shows malefic impacts in life. 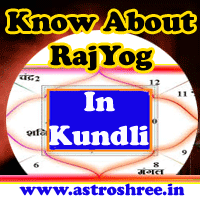 Gochar is also considered very much while reading horoscope/kundli/birth chart because both are very closely related with each other. If in gochar, any planet is becoming malefic or bad and if the same planet is in dasha in anyone kundli then person will face too much problems and it will be suggested to keep patience and perform prayers to not minimise impacts of malefic planets in life. On the other hand if any planet is good in gochar and if it is in dasha also then person will face good changes in life. So study of kundli with gochar is very much important. Study of gochar is very important for daily prediction, mothly predictions, yearly prediction commonly. If you are facing any type of health problem, wealth problems, business problems, love life problems then you can ask astrologer to check horoscope in relation to gochar too. Get minute analysis of horoscope from astrologer astroshree. Click below to consult astrologer.